You are here: Home / FREEbies / FREE Jamba Juice! Wednesday, August 6th, 2014, you can get a FREE Jamba Juice! 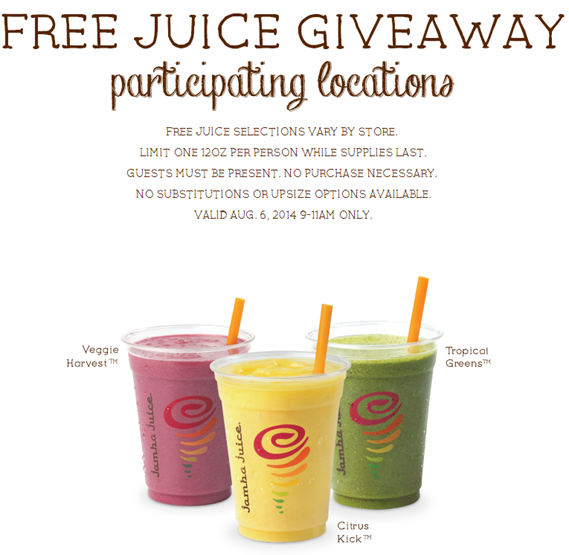 Participating locations are giving away FREE 12 oz Jamba Juices, while supplies last! So, make sure your store is participating and then drop by on Wednesday and get your FREE Jamba Juice!